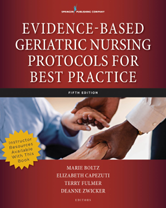 The new fifth edition of one of the premier references for geriatric nurses in hospital, long-term, and community settings, delivers current guidelines, real-life case studies, and evidence-based protocols developed by master educators and practitioners. Several new expert contributors present current guidelines about hip fractures, frailty, perioperative and postoperative care, palliative care, and senior-friendly emergency departments. Does Race Make a Difference?